Can You Buy HCG in Stores? was made illegal by the FDA in 2011, however prescription HCG remained legal. The hormone is perfectly legal to use with the prescription of a medical doctor, however many stores have decided to sell the hormone or a low quality version of it to people without any medical supervision or licensed medical providers on staff. These companies put their patients at risk because no hormone should be sold without an appropriate medical evaluation prior to issuing a prescription. Several negative experiences from the diet have resulted from obtaining the hormone from an unlicensed provider, and these experiences could easily be avoided simply by purchasing the hormone from a legitimate company. Anyone who is interested in buying HCG should know that you cannot actually buy the real hormone in stores. Again, any product with the label homeopathic HCG cannot be sold legally anywhere, but you will find stores that claim to sell regular HCG. These products are not technically illegal, however they are certainly potentially dangerous to your health. Most of these companies sell hormone products that were produced at overseas facilities with no quality control measures in place. Real human chorionic gonadotropin can only be purchased at a licensed medical clinic like Nu Image Medical after the patient has had a review of their medical history and physical health. The quality and the purity of the hormone will also be substantially better than any hormone product sold at unlicensed stores. It is important to know that any hormones purchased at unlicensed stores are unsafe to use and can result in serious potential health consequences. Some of the negative stories that you may have heard regarding hormones are very likely the result of buying them from unlicensed sources. 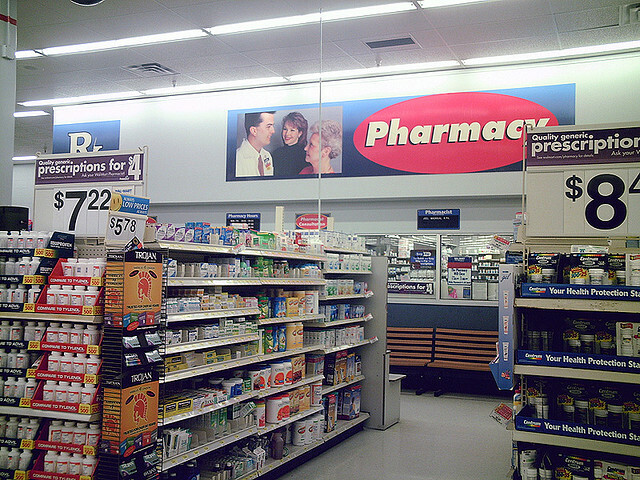 The potency and quality of hormones must be carefully controlled at pharmacies with the appropriate equipment and sterile production techniques. Unlicensed stores will sell hormones that have been produced with little or no oversight regarding ingredient purity, sterile production or other safety precautions. People really have no idea what they are buying when they purchase one of their hormone products, and all too often the product isn't at the purity that they need. Simply put, their products are dangerous and it isn't worth the few dollars of savings compared to a licensed clinic. Without a doubt, the safest and best way to buy HCG is from a licensed clinic with the appropriate licensed pharmacy that supplies the hormone. At Nu Image Medical and other licensed clinics we have a medical provider review the history of every patient to ensure that the hormone and diet are both safe for them. Any concerns about the patient's medical status is discussed at the start of the diet, and every proper safety protocol is followed. Patients are also free to ask their medical provider any questions or concerns that they have about the diet or about using the hormone, which isn't an option at unlicensed hormone providers. A licensed clinic will always make the diet safe for every patient and those who shouldn't attempt the diet will be advised before they buy the hormone. The unlicensed stores that sell the hormone are simply doing so for the money, and they are not at all concerned about the safety of their patients or even their reputation. Many of these companies are only in business for a year or two and break a law and get shut down. If they had any concern about their patients at all they would hire the appropriate medical staff, use a licensed pharmacy source and do things the right way. Instead they hope to make a quick dollar from the excitement surrounding the HCG diet. Companies with such a disregard for their customers cannot be considered trustworthy, and anyone who buys their products is taking a significant risk with their health. The FDA made homeopathic HCG illegal because of the prevalence of these companies, and it is possible that they may outlaw the sale of HCG from unlicensed stores if the trend continues. The recklessness of these companies has become a source of concern for the FDA and they may end up taking further action to protect consumers. HCG is not approved for any over the counter usage, because of the fact that it is a hormone and can only safely be administered by a medical provider with an understanding of how the hormone works and the caveats for each individual patient. The FDA has the obligation of trying to protect and warn consumers, however there will always likely be illegal HCG products being sold online with how easy it is to throw up an online storefront and start selling unsafe hormone products. No matter what, you can't go wrong buying the hormone from a legitimate provider like Nu Image Medical, as we use a licensed pharmacy to supply all of our hormones. The other major issue with most of the companies that sell the hormone and diet is the fact that they don't have any medical providers to oversee the patients as they complete the diet. There are a wide range of different medical concerns that can arise as a patient is completing the diet, in spite of the general safety of the original diet protocol. Very low calorie diets such as the HCG diet are regularly prescribed to treat obesity but they always require a medical professional on staff to make sure that the diet is safe before a patient attempts it. At Nu Image Medical we provide medical oversight during the critical first week of the diet as well as extra support if it is needed, but unlicensed stores rarely if ever offer this, and some patients risk their health by trying a diet that they really shouldn't. Often times the cost of an unlicensed hormone diet program will be similar to what you would pay at a licensed provider. Even if you save a substantial amount of money it's not worth having to go to the doctor anyway to treat a complication or health problem that occurs from a low quality hormone product. Providers like Nu Image Medical have been able to both offer a convenient and afford shipped to home version of the diet while still offering full medical oversight and ensuring that the quality and professionalism of our diet program is on par with what you would get at a local clinic. The benefits of the diet are many but you do need to take the precaution to purchase it only from a well-known and experienced provider that only uses legitimate pharmacy sources and that has the medical staff to approve and review each patient individually. If you want to buy HCG from a legitimate provider that is guaranteed to be pure and safe, contact Nu Image Medical today for more information about our HCG diet and hormone products.